Utah Saints originally met as music promoters and DJs for the Mix Nightclub in Harrogate in the early 1990's. They began as MDMA (Mega Dance Music Allegiance), featuring two former The Cassandra Complex members Jez Willis and Keith Langley, along with former Executive Slacks member Bobby Rae and guitarist Martin Scott. They became The Utah Saints with the departure of Rae and Scott and the addition of Tim Garbutt - Jez Willis played drums with the band in the early days and has provided artwork and photography for a number of their releases. They first had chart success with the singles 'What Can You Do For Me', 'Believe In Me' and Something Good. The latter featured a sample from Cloudbusting. (Contrary to rumours, the band were not sued by Kate Bush over the use of the sample, since it was legally cleared before use.) They described the three singles as their vocal sample trilogy. 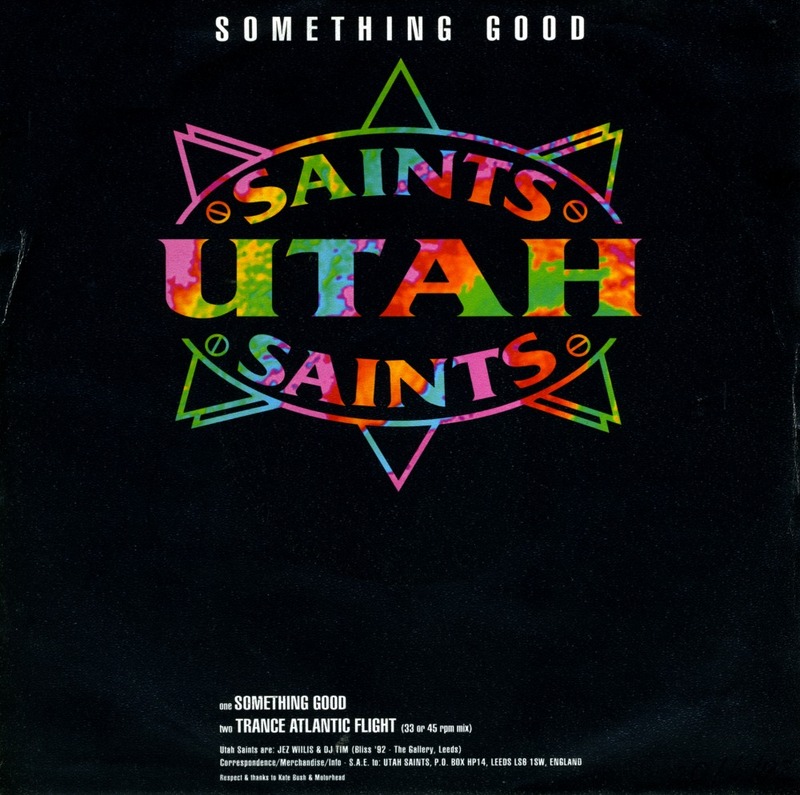 Utah Saints then moved away from vocal samples with singles such as 'I Want You' (sampling thrash metal band Slayer) and 'I Still Think of You' (Jez Willis providing original vocals on each). After their self-titled debut album Utah Saints seemed to disappear for several years. They were doing remixes for several acts including Simple Minds, Human League, Blondie and Annie Lennox and producing tracks for Terrorvision. During this time, they recorded an album that was to be called 'Wired World' but was never released, and produced a handful of Utah Saints tracks that have not been released. They reappeared in late 1999 with charting singles 'Love Song' and 'Funky Music Sho' 'Nuff Turns Me On'. They also issued the album 'Two'. In 2000, Utah Saints did the soundtrack for the video game Carmageddon TDR2000. In 2001, they supported Feeder on the second leg of their UK tour with a DJ set. In 2002, they went quiet again, resurfacing in 2008 with a re-release of Something Good with new vocals. In August 2010, Utah Saints announced the launch of a new record label called Sugarbeat. The first release was Santero's 'Drop the Bomb'. In 2015 Utah Saints released one copy of a work in progress track titled 'Swansong D'Amour' which was played on BBC by Mistajam. Utah Saints. Wikipedia, retrieved 12 October 2017.